Here we gather the drivers for this model for Windows XP 32 bit operating system. The reason for this is because there are applications that don’t work on Windows 7 (work only on XP). For this model is not so important whether it will be installed with AHCI or will be on Compatible Mode (IDE). If you want to install the XP with AHCI drivers, you will need to install the AHCI driver from floppy during the installation of the XP. This model don’t accept the AHCI driver after the installaton of XP. You are a life saveier, thnx. Lot of thanks for your work!, I really needed this drivers. All links work fine, just checked. First of all: Thanks a lot for these drivers! I tried to install XP on my X54C-SO249DU without success. I used nLite to add most of the drivers (AHCI, Chipset, VGA, WLAN). First I tried to install the non-modified Installation with a CD (Bluescreen 0x0000007B) then I used the modified, but the same Bluescreen appears. Then I used the non-modified install from USB Stick. Installation succeeded but now I’m getting the same Bluescreen (just for 0,5 seconds) on booting and then it restarts (endless loop). Now I’ll try the nLite’d installation from USB. Can anyone tell me how to install XP on this machine? I’ve downloaded and installed all of the drivers. They all do work except the WLAN driver. Can someone supply me the right one? Has anyone solve the problem of the wireless driver with Windows XP. I believe to be obliged to purchase windows 7 or got used to Ubuntu. the mentioned URL is not working!! thank you for this great information. But how can I include these drivers in my XP? Sorry I’m not a professional. You can add these drivers on your XP with the software “nLite”, but it’s not recommended to do that. Add only the AHCI SATA driver, and the other drivers install it traditionally after the installation of Windows XP. ASUS X53U have the same configuration as the ASUS K53U, so these drivers should fit for you. which is having AMD Brazos Dual Core E450 1.65 GHz CPU. XP ON THIS SYSTEM, OTHERWISE THERE IS NO USE OF THIS LAPTOP. AND HE IS NOT WILLING TO LEARN WINDOWS 7. PLEASE HELP AND SAVE MY MONEY. If you cannot install the AHCI driver, in the BIOS set AHCI SATA Controller to be on “Compatible”. After this, the Windows XP installation will complete without any problems. For this chipset that you have it will no notice big difference wit or without AHCI. intel dual core2.2 B960 laptop but i have no found a driver for install xp in that laptop no graphics no driver,any driver no downloade by internet how it sove that problem,…. please send me mail to down load software. Are the zip/rar driver files to be uncompressed before installation? Can you please give a step-by-step installation procedure for this particular model please? I am completely new to all these but I love to have XP. Also, if you can, can you give a step-by-step installation procedure with nlite as well? All the drivers are compressed in zip/rar files and need to be uncompressed before installation. The procedure of installing Windows XP with SATA drivers is clearly explained. The procedure with nLite is the most complicated (not for begginers) and we still work on this post. Also, will these XP drivers work with X53E? The driver for the Chipset, Graphics and MEI will fit, but we cannot tell about the other drivers. 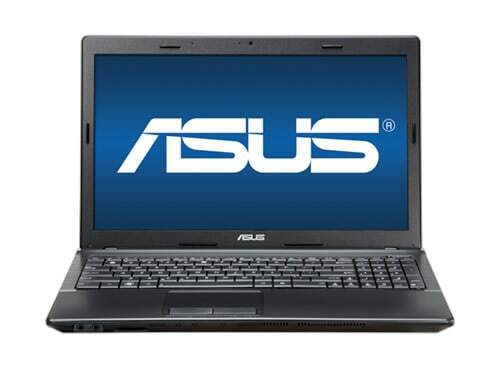 I am thinking of buying Asus X54C-SX365D (http://in.asus.com/Notebooks/Versatile_Performance/X54C/#specifications). As you see that this model from Asus India comes with DOS version. 1) Can I create a partition for the Windows XP installation and keep the pre-installed DOS OS intact? This is because just incase if my XP installation fails, I can always go back to DOS and try to install XP again? If yes, if there are any steps, please let me know. Also how the dual-boot (choose any) option at starting-up the laptop. If any, can be activated? 2) I have downloaded all the drivers that you have provided in you website. Also downloaded AHCI driver. I have also burned a boot DVD with all the mentioned XP drivers and XP OD using nlite. Is there anyway to pre-check if it will run smoothly once before insert in the optical drive of Asus laptop? 3) Do I have to select AHCI mode in the BIOS before running the bootable (the DVD the prepared using nlite with AHCI driver and other drivers you mentioned along with XO OS)? 4) And once installation completed, do I keep it on the AHCI mode? 5) After successful installation, can I delete the DOS partition? 6) Finally, this model comes with a CD of drivers. Do you think those will work with XP or they won’t be suitable or XP? 1) Free DOS operating system comes installed on a small partition (not bigger than 2GB). So on the rest of the disk you can install Windows XP. If you want you can make a backup on the whole hard disk before the Windows XP installation (with some backup software like Acronis or Norton) so you can later restore your pc in original condition. 2) If you everything like you should the installation will complete without any problem, like standard Windows XP instillation. 3)Yes, before you start with the installation you select AHCI in BIOS. If there is shown “Blue screen” during the installation, you switch it back sata mode to IDE, and proceed with the installation. 4)If the installation complete with AHCI, keep it this way. 5)Yes, you can delete DOS partition during the XP installation and after. 6)The CD that comes with that laptop contains drivers only for Windows 7. 2) After making partition, how to direct/instruct XP to be installed in the new partition. For example, if DOS is installed in C drive. How do I install XP in D drive? 3) If the XP installation is not proper, how can I delete it? And re-try? Thanks, this is important for me to know. Please reply quickly. I tried install the USB3.0 driver for Windows XP, but it doesn’t work. There is no problem with the other drivers. Can anyone help me, please? The driver is checked and working fine. There must be another reason why this driver cannot be installed. You can try to install manually. Right Click on My Computer icon. On the yellow icon (Missing Device) click right click. thank u boss. u r great..
Great , it worked for me .. Thanks Tome. Really a good effort. Not like other blogs who writes and forgot. Hi. Might I inquire how you found/made these drivers for this laptop? I’m looking to do the same for a similar ASUS laptop. I’m also looking on how to find or assemble some windows xp x64 drivers. Any ideas? Just wanted to give something back to some XP fans. 1. XP is great and can be super slim and fast. I regularly customize/build XP distros. I remove/add components/software apply tweaks and its updated past SP3. Search for nlite (freeware) to do so. 2. My x54c has 6gb of RAM. XP 32x recognizes 2.95GB of it. Install a program called Ramdisk Plus (or similar) to access the remainder of ‘unrecognized’ RAM within xp 32x. You can’t Aforce XP32 to use the remaining RAM as RAM, but this program creates a drive of your RAM (eg. R:\) that is 3.05GB. Then you can put your Pagefile in there or use it has a super fast R/W drive. How to download divers. pls send to me driver link the file and website. Just select the Operating system and download.